As sweltering summer temps currently scorch much of the United States, many folks — from babes to boomers and beyond — have staked out spots in the shade or indoors in front of the air conditioner (or fan, for poor souls like myself with no A/C) to while away the hours. Candlewick Press offers a cool collection of compelling and creative books for readers of all ages to help beat the heat — and boredom — of these hottest days of summer. Shaun the Sheep: Pranks A Lot! 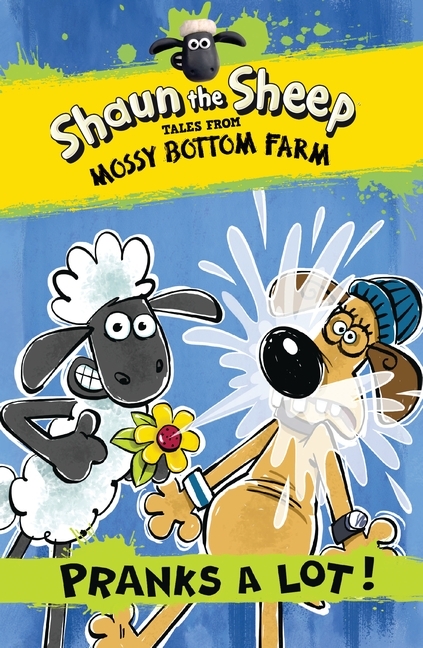 Tales from Mossy Bottom Farm by Martin Howard, illustrated by Andy Janes ($4.99 paperback, ages 5-8) Shaun the Sheep gives Blitzer the Sheepdog a mustache, and Blitzer reciprocates the prank by painting Shaun pink. But the gags and giggles really get out of hand when Shaun ends up with a hurt leg — at the bottom of a hole. Will the two make up? How will Blitzer get revenge upon learning Shaun's a faker? Where to squirting flowers play into the silliness? Another installment of the wacky happenings on Mossy Bottom Farm. The Princess in Black and the Hungry Bunny Horde by Shannon Hale and Dean Hale, illustrated by LeUyen Pham ($14.99 hardback, ages 5-8) Princess fans will get a kick out of this new breed of princess. More adventurous than adorable, more clever than cute, Princess in Black and her faithful pony Blacky — alter egos of pretty-in-pink Princess Magnolia and Frimplepants her unicorn — battle bunnies beyond belief in this colorful and quirky tale of fluffy yet ferocious furballs with monstrous appetites. Cody and the Fountain of Happiness by Tricia Springstubb, illustrated by Eliza Wheeler ($6.99 paperback, ages 7-10) A warm tale of friends and family and summer that turns out perfect after all. 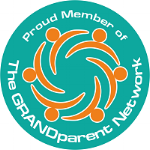 Plus a cat named MewMew, a grandma named Grace (aka GG) who — grandmas will love this one — is described as "GG's hair was a silver nest, only instead of birds, several pairs of glasses lived there." Sweet description, sweet story. A book readers will hug when done. Julius Zebra: Rumble With The Romans! by Gary Northfield ($15.99 hardback, ages 7-10) Julius Zebra, Milus the Lion, and Cornelius the Warthog are nabbed from their waterhole on the African savannah and dropped smack dab in the center of the Colosseum. It's madcap mayhem as the not-so-fearsome friends must fight for their freedom, playing gladiators and winning the hearts of the Roman crowd. Not just fun (and fear) and games, though, the wacky and wild ride features highlights of Roman ways plus a lesson in Roman numerals and glossary at the back of the book. Zany edutainment. Hour of the Bees by Lindsay Eagar ($16.99 hardback, ages 10-14) Twelve-year-old Caroline (aka Carol) faces a boring summer in New Mexico helping her parents move Grandpa Serge — her cranky grandfather whom she hadn't previously met — into a home for those with dementia. Though she'd much rather be enjoying slumber parties and fun with friends, Carol soon falls under the spell of Grandpa Serge's magical stories of his life and tales of a desert oasis with a tree that can end the area's 100-year drought... and make villagers immortal. Lessons for Carol are aplenty as she learns to embrace her roots and consider what's real versus what's possible. Disclosure: I received these books free for revew; opinions are my own.